Save AED 213 (29.92%) – Earn 48 Shukrans What is Shukran? Shukran is the Landmark Group’s award-winning loyalty programme in the Middle East, which allows you to earn Shukrans when you shop any of our brands. Lend maximum comfort to your kid while going out with the help of this stroller. 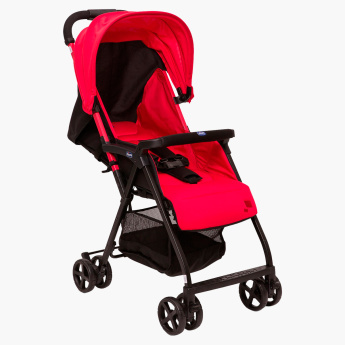 Light in weight yet sturdy, this stroller is easy to move and has a canopy on top to offer protection to your little one. The storage basket at the bottom lets you place your babyâ€™s essentials with ease.